Am I the only one who thinks Peter Capaldi should stay for at least one more season? He is killing it this year, and he deserves to shine after two series that may not have allowed him to do so -totally not blaming him, but a few scripts that didn’t do any favours to the show. As much as it pains me to say so, because I love Jenna Coleman, I think the dynamics of Clara’s relationship with Twelve hurt the first two years of Capaldi’s era, so I must say I’m pretty happy with Bill’s addition and her banter with the Doctor. It’s refreshing, it’s fun to watch and it’s allowing Capaldi to give us some of his best performances on the show. Of course, ‘Oxygen’ was just another display of genius, and not just because of Capaldi and Mackie’s acting, but because of the script itself. This episode marks a turning point for the Doctor, and we keep getting hints at his impending “death” (he is waiting in Section 12 after going blind). But let’s start with the plot first. This is a spooky, thrilling story, that sees our heroes landing on a spaceship that has been sending a distress call because, well, all the crew but four have been killed… by their spacesuits. This is a world where distances are measured in breaths, where oxygen is money and something to trade with. This episode wasn’t subtle at all when it came to criticise the dehumanisation of capitalism: it is because of money that the suits are getting rid of the workers who are not productive enough, and killing them is just a practical decision to avoid wasting the oxygen. In the end, the Doctor is smart and does a few tricks to the suits of the few people remaining, so that killing them is forbidden because that would cost the company a lot of money. Capitalism 1.01 on Doctor Who, who would have thought? 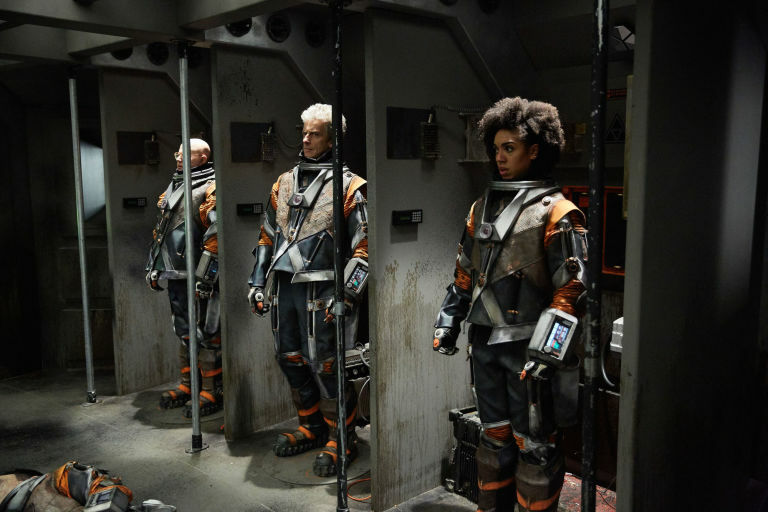 Such a claustrophobic episode (though set in space) also excels because it moves the relationship between the Doctor and Bill forward, and it shows us that the Doctor is willing to lie to protect the people he loves. He goes blind after he gives Bill his helmet to save her from dying when they go into outer space, but reassures her that he can fix it later in the TARDIS. It’s not until the very end that we learn that the Doctor is still blind, and who knows for how long. Is this the very beginning of his regeneration? How long can he keep this lie for? -I would also be upset if I got to space and I didn’t get to float around. 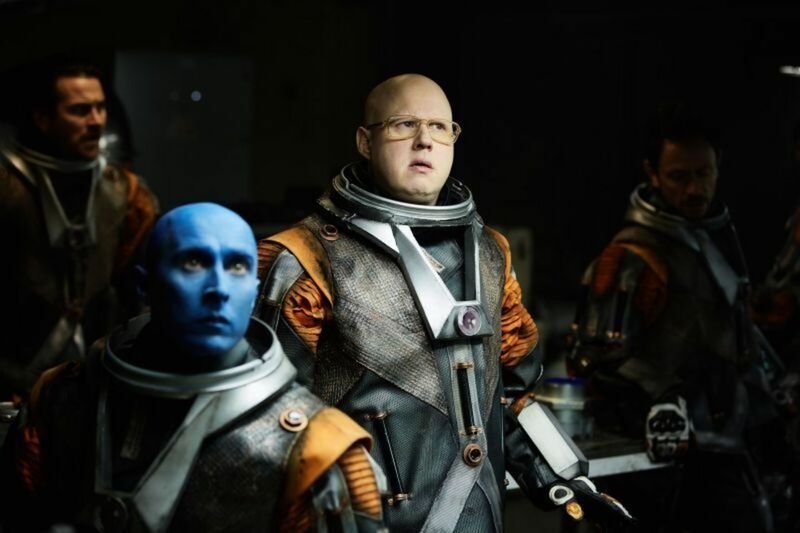 -I love learning about Nardole’s past love life. But my question is, how did he and the empty voice go on dates? How did they kiss? -Geez, I really don’t want Capaldi to go! He said he’s already filmed his “death,” whatever that means, so I’m expecting a big cliffhanger at the end of the season that will lead to the Christmas Special and his regeneration. -Let’s admit it: I was right and John Simm is in the vault, and Missy is going to return to help the Doctor with it. -Let’s be real: episodes like this one are NOT for kids. -The face the Doctor makes when the sonic screwdriver breaks. Priceless. Agree totally on Bill and Clara.